That's great feedback. I'd thought of the Givi stuff too. Great to know you can adjust the position relative to the ring on the tank. Anyone selling hard luggage for Sprint ST 1999? 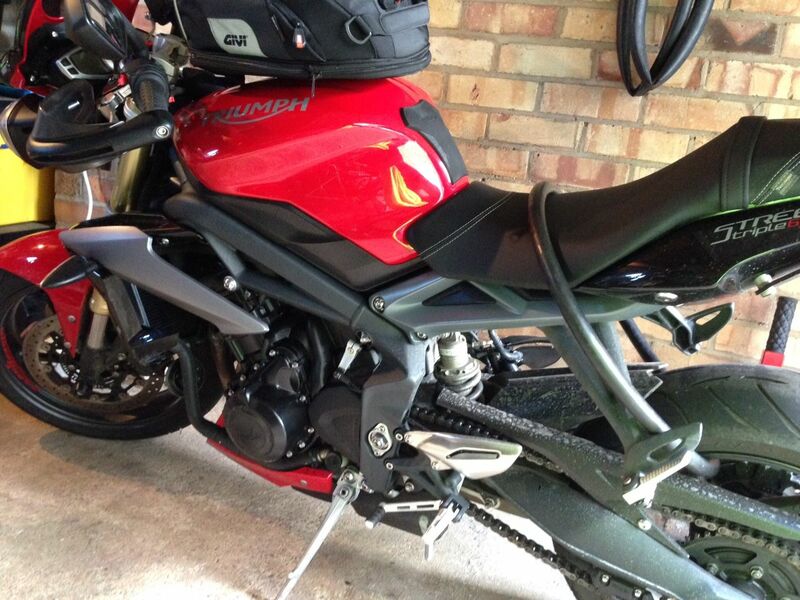 Does anyone know which Ventura pack rack fits the 08-12 street triple ie; which PF or the distance between the lugs? Ventura have changed to a universal rack now and I can't find the old fitting list on their website. Looking to get bits on eBay as they come up. I lived in NZ for 30+ years and bought lots of their gear. Traditionally, the "number" stayed the same for the Grab Bar, Sport Rack and Pack Frame. So, since the Sport Rack is is SR13/B, you would need something like PF13. These are made by www.dold.co.nz .... I have in the past emailed them to ask the distance between holes and they were very responsive. There is was appears to be a full set for this model on Ebay at the moment. Good Luck. Added a Givi tank lock tank bag to the Street. XS307 15 litres. Not had chance for a ride yet but doesn’t get in the way of the controls. 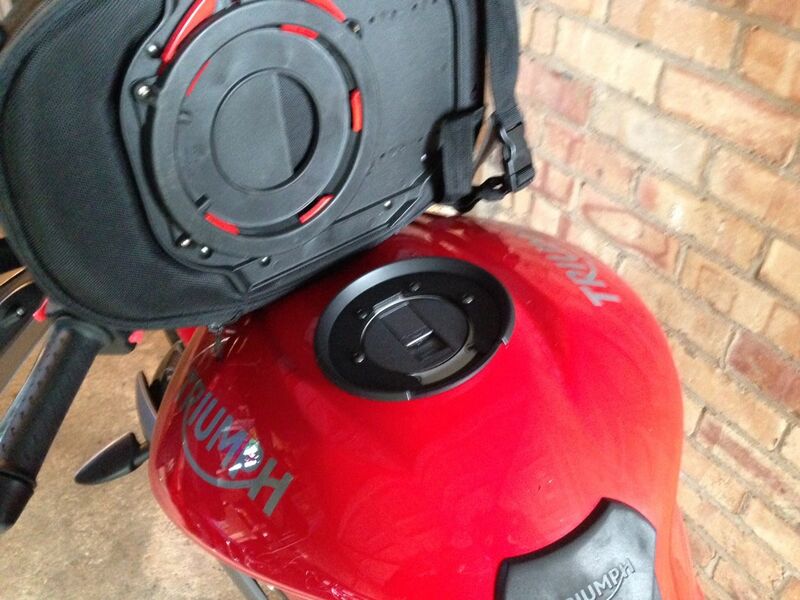 The tank lock system is simple and keeps the bag off the tank. Roll on summer tours. 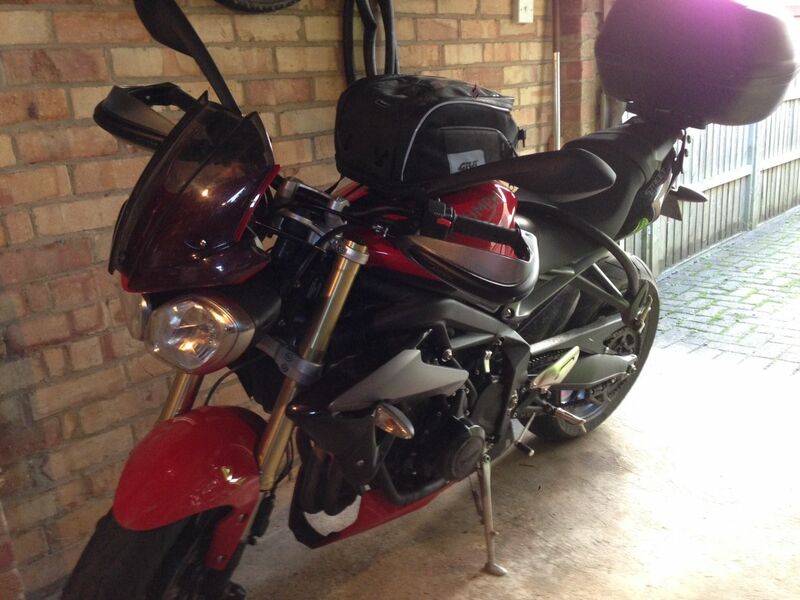 I was just looking at this one for my speed and our trip to Alicante next year. It’s a reasonable size not too big and the tank lock looks easy to use. Andy, there are 2nd hand ones on eBay on a regular basis. The fitting kit for Triumph is BF02. But bear in mind the actual ring comes with the new bag not the adapter. After getting the bag and adapter kit separately (2nd) I ended up having to get the ring separately (still only £8 via local dealer - they sell a lot). Either way you can still pick up nearly new set-up for a very good price.